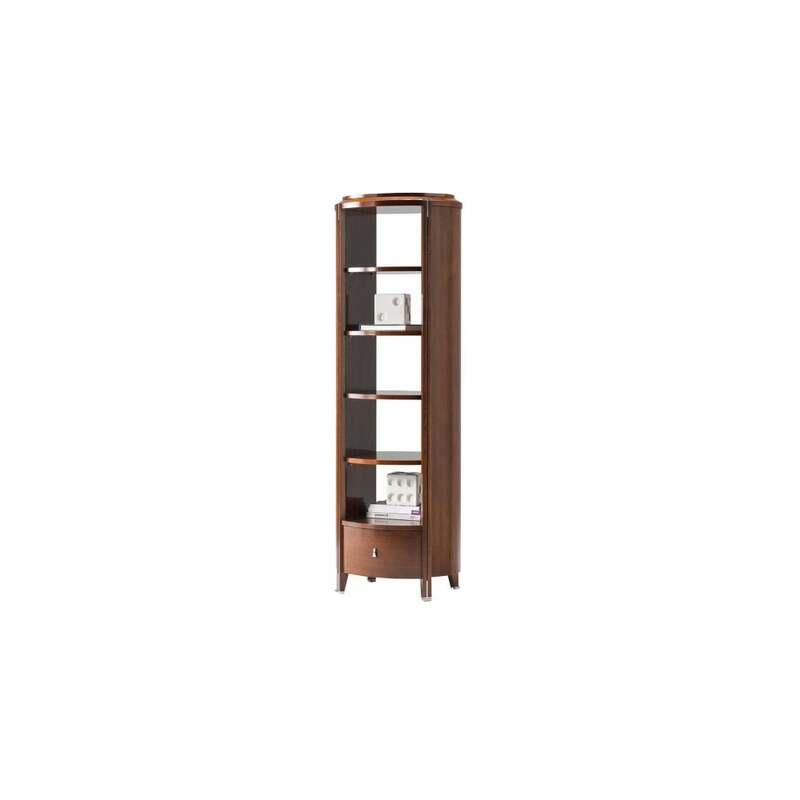 The Vendome Etagere is a classic, striking design and beautiful piece of craftsmanship. With 1 self closing draw, 1 fixed and 3 adjustable wooden shelves you have ample storage or display space. The rich, dark cherry veneer of the body and shelves combined with the tall, narrow styling of this classic design creates a striking look. The decorative metal appliques in glossy chrome on the legs and fluting on the pilasters adds a touch of eye-catching contrast of surface and reflection.